The implosion in protection is reaching “epic” proportions. The sharp moves lower continues today and is seen across risk hedges. The most important to watch is the credit space as well as the equity volatility indices. European credit takes another big leg lower today. The move down has been accelerating after the latest ECB meeting. For now, credit protection is a “hated” asset. Note that the last sharp move higher was partly due to the contract roll. US credit shows the same picture, investors are dumping credit protection. 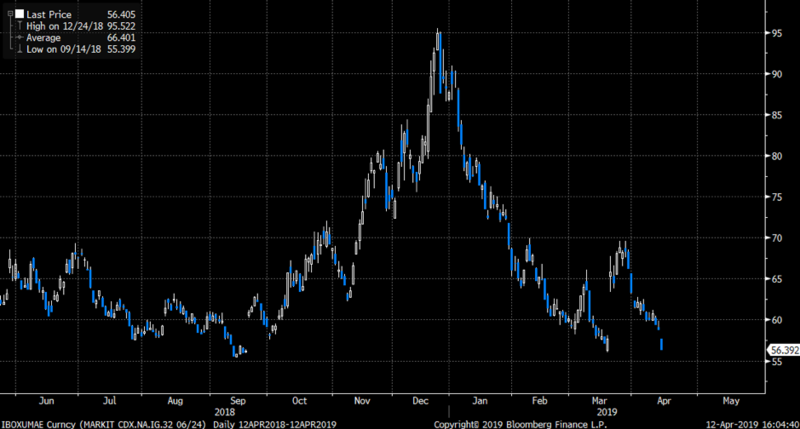 Both US and European credit are trading at or below recent lows. The sell off in protection is widespread, and has taken place in most assets, FX, bonds, stocks etc. 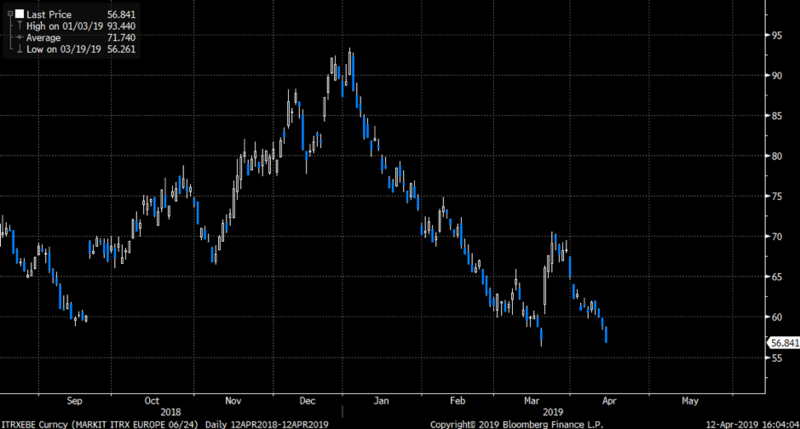 Below is a chart of the Eurostoxx 50 vol index, V2X. It has been falling hard for the past sessions, and decided dumping yesterday and even extending that move lower today. We have not seen V2X close lower in a long time. This is now reaching rather big complacency according to us. 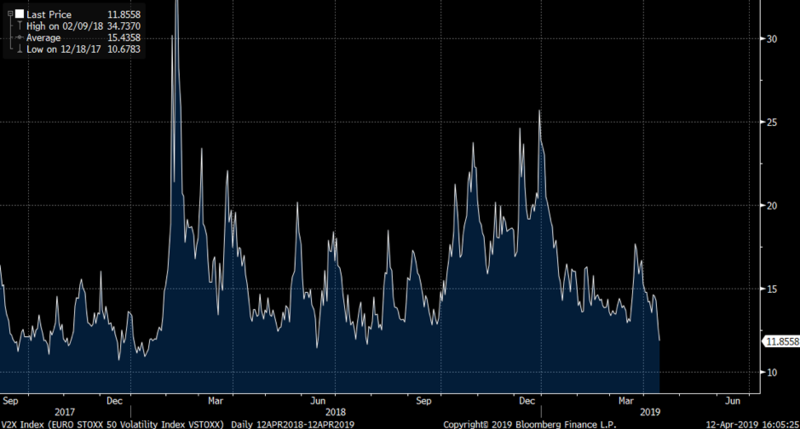 The big fear index, VIX, is showing no fear at the moment as we trade to new lows since the October crash. The implosion in protection is now reaching rather big complacency according to us. 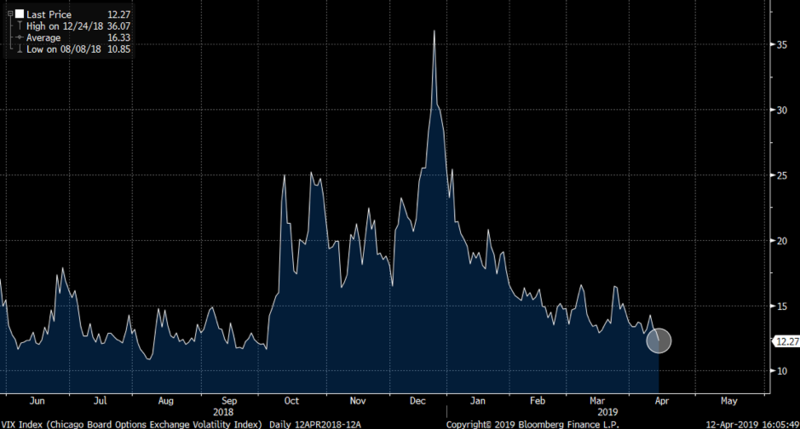 If markets will reverse and fall nobody knows, but current levels of volatility and credit protection are offering cheap ways to hedge or express directional views via derivatives.